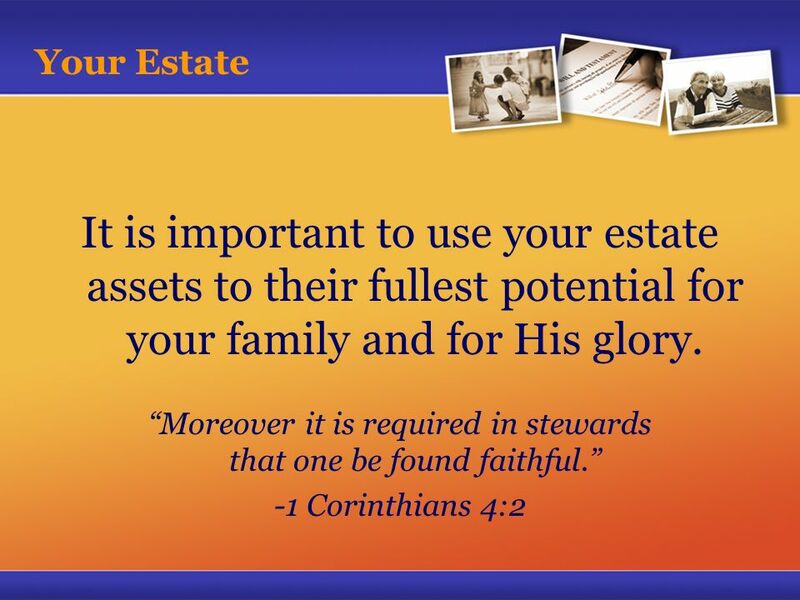 Estate Planning Ministry Your Estate Whether you are young, old, rich or just comfortable … YOU HAVE AN ESTATE. 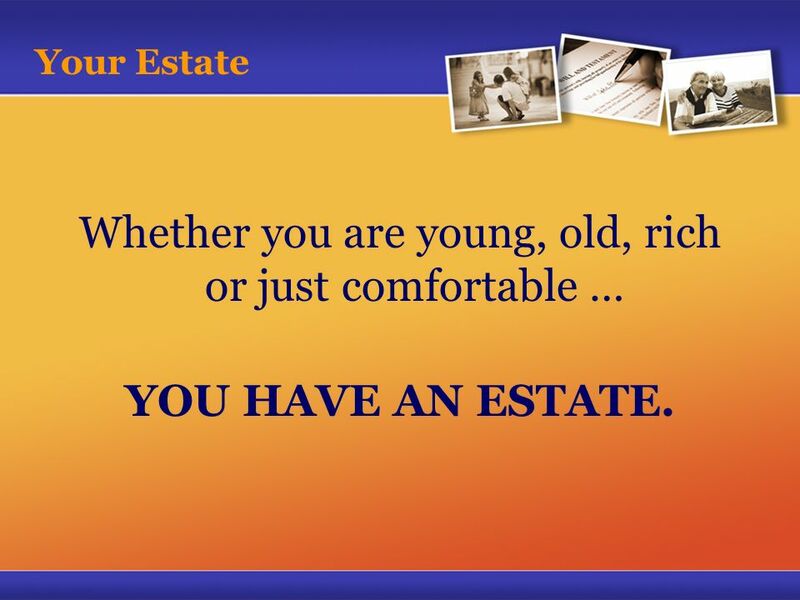 3 Your Estate Whether you are young, old, rich or just comfortable … YOU HAVE AN ESTATE. 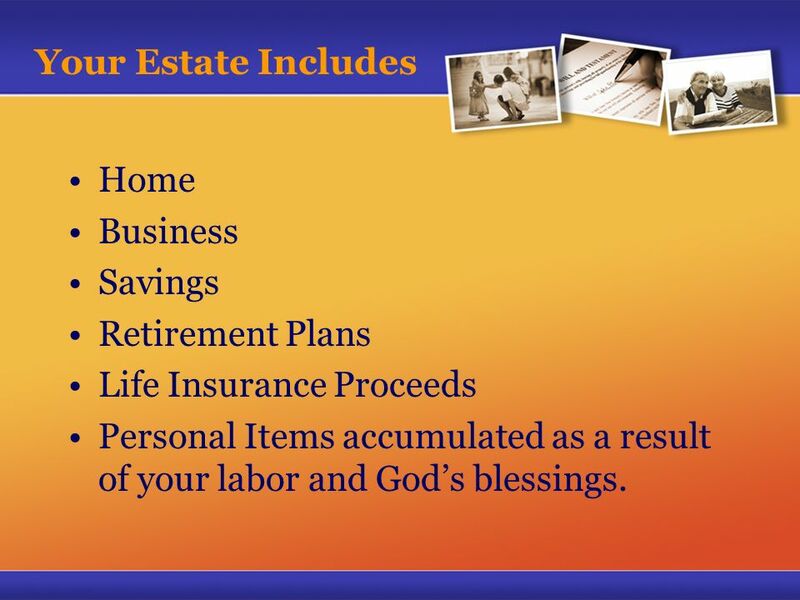 4 Your Estate Includes Home Business Savings Retirement Plans Life Insurance Proceeds Personal Items accumulated as a result of your labor and Gods blessings. 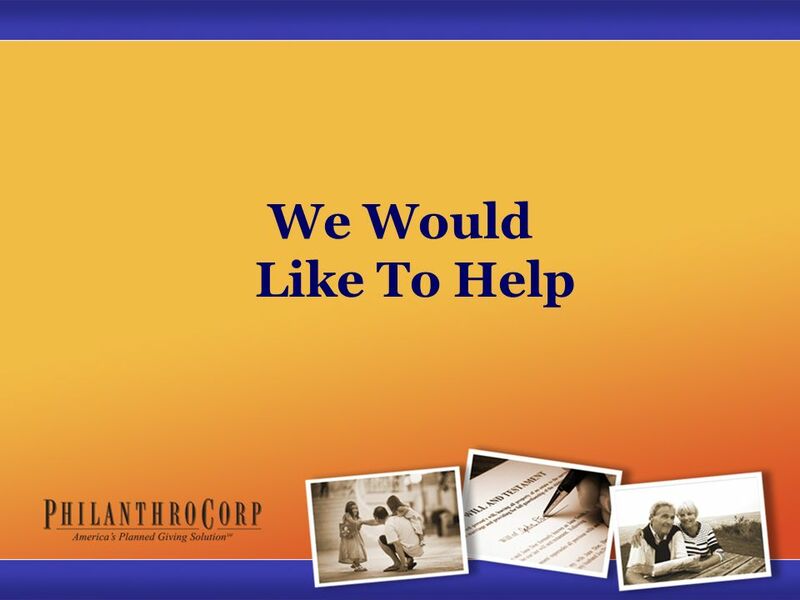 9 Consider this: It is estimated that more than 50% of Americans do not have a current will. 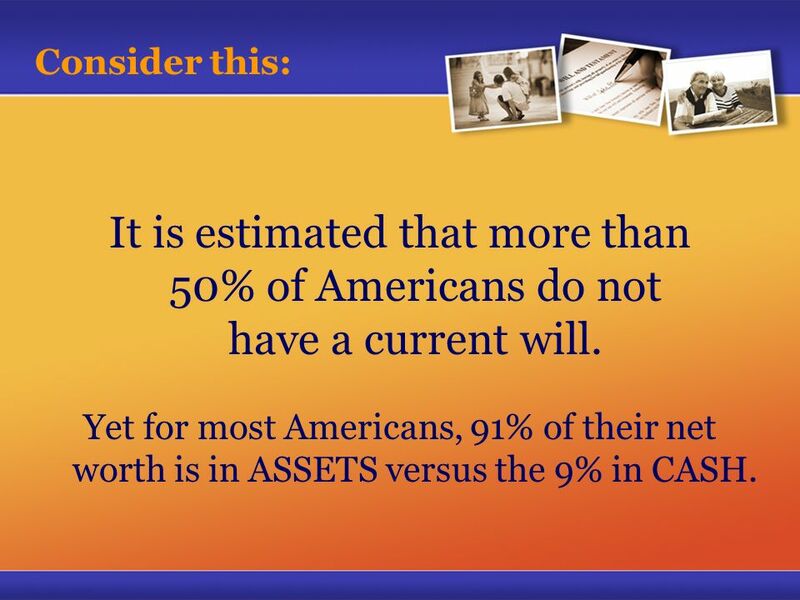 Yet for most Americans, 91% of their net worth is in ASSETS versus the 9% in CASH. 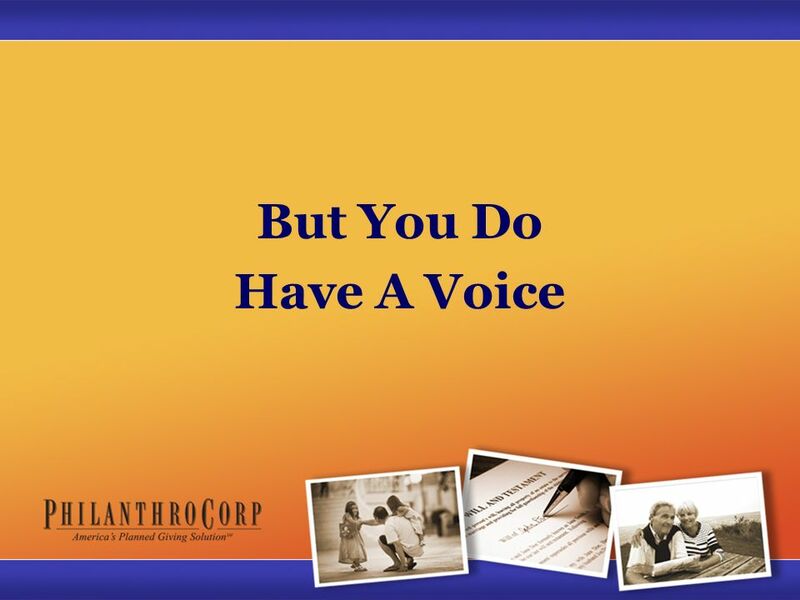 10 Consider this: Without an estate plan in place, you have no voice in the distribution of these assets. 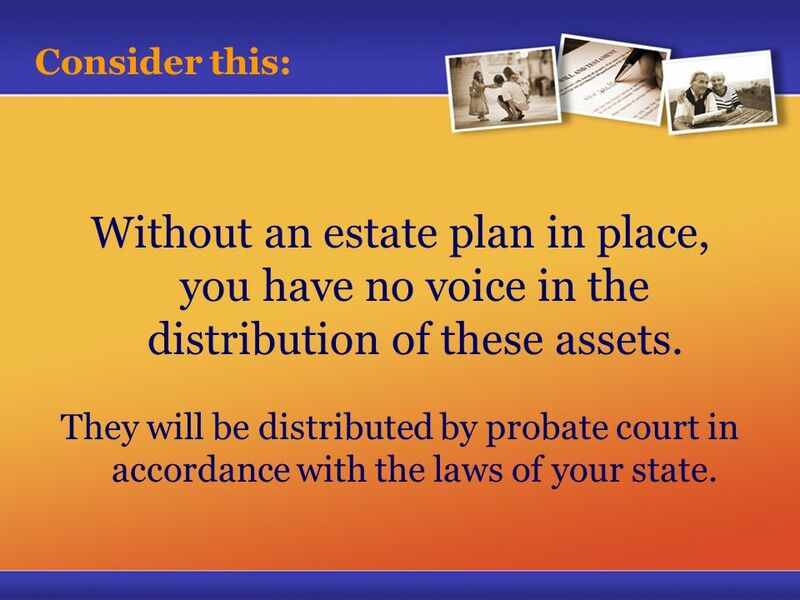 They will be distributed by probate court in accordance with the laws of your state. 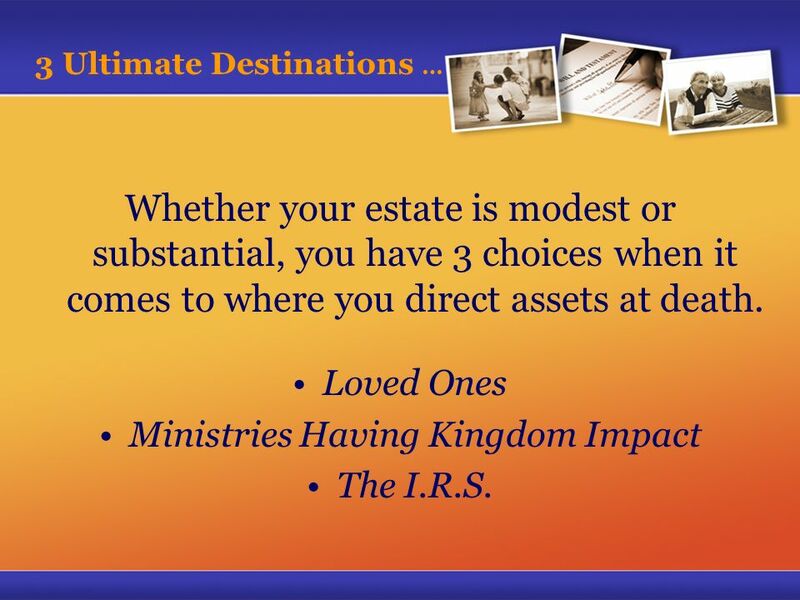 12 3 Ultimate Destinations … Whether your estate is modest or substantial, you have 3 choices when it comes to where you direct assets at death. Loved Ones Ministries Having Kingdom Impact The I.R.S. 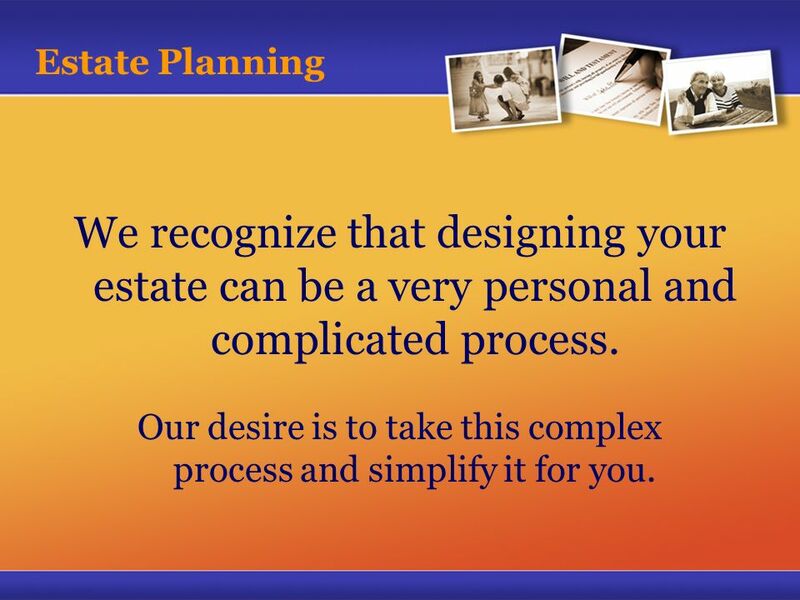 13 Estate Planning We recognize that designing your estate can be a very personal and complicated process. Our desire is to take this complex process and simplify it for you. 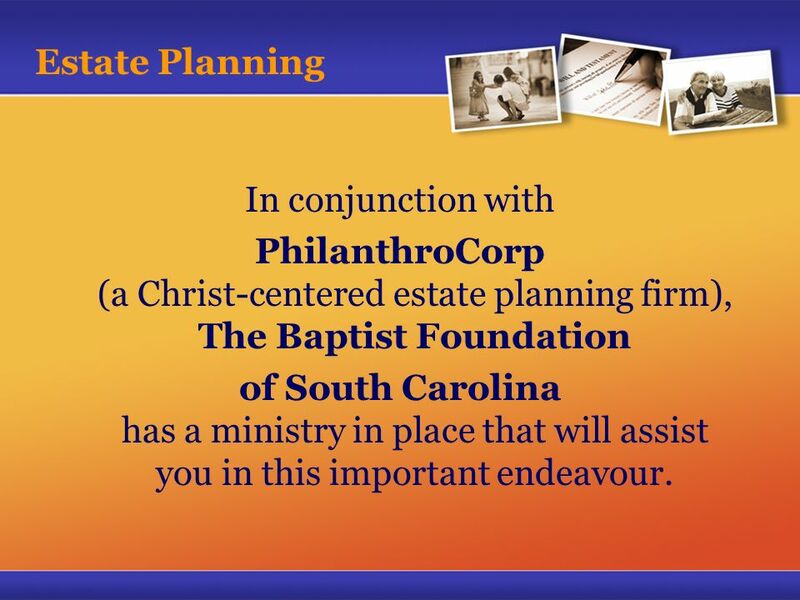 14 Estate Planning In conjunction with PhilanthroCorp (a Christ-centered estate planning firm), The Baptist Foundation of South Carolina has a ministry in place that will assist you in this important endeavour. 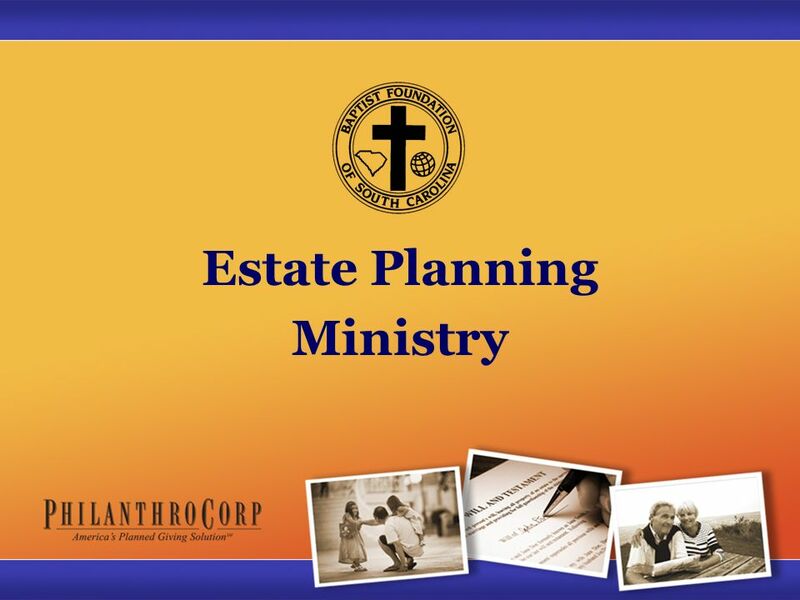 Download ppt "Estate Planning Ministry Your Estate Whether you are young, old, rich or just comfortable … YOU HAVE AN ESTATE." 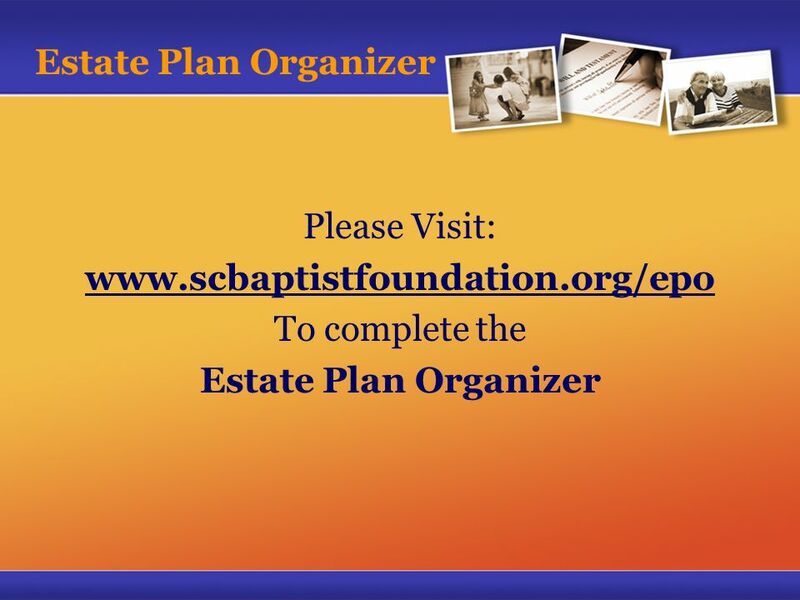 Estate Planning Beginnings Estate Planning Beginnings Estate Planning Workshop: ADDing Value to all the stages of your life Securing your future while. BASICS OF PLANNED GIVING NATIONAL CONFERENCE OF BAR FOUNDATIONS Payson S. Wild, Jr., CFRE President – Wild Associates, Inc. James Provenza, JD Provenza. Christian Stewardship & PERSONAL FINANCIAL RESPONSIBILITY Presented by: Glenn Grevengoed. 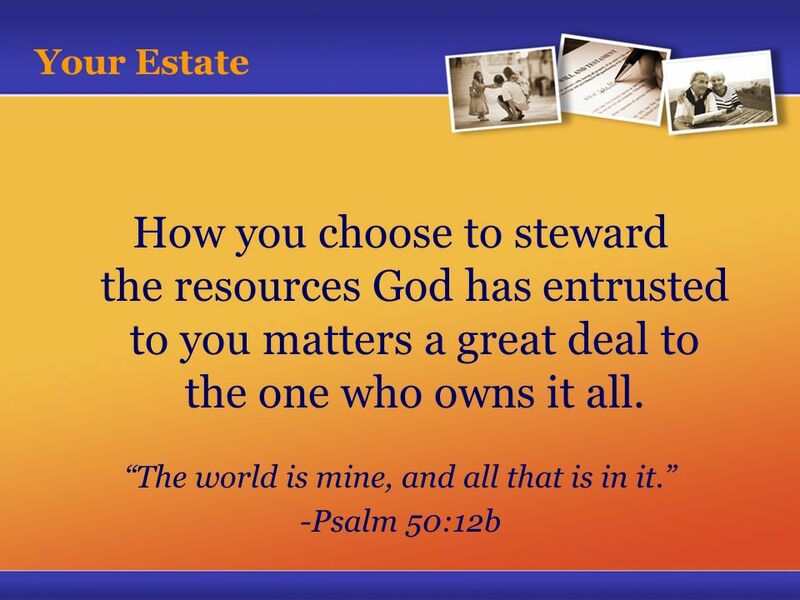 Life, Estate & Inheritance Planning – God’s Way. 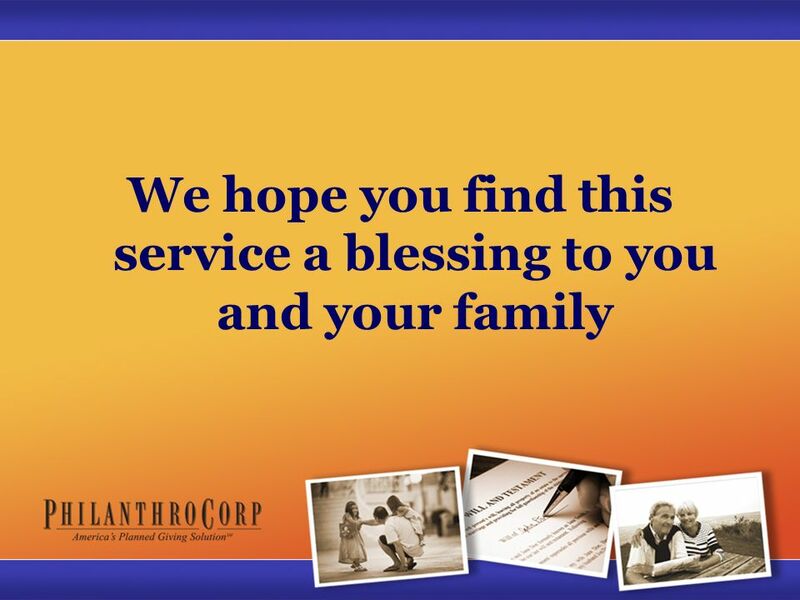 What Is “Estate Planning”? A Process that Allows You to: Control Your Property While You’re Alive and. 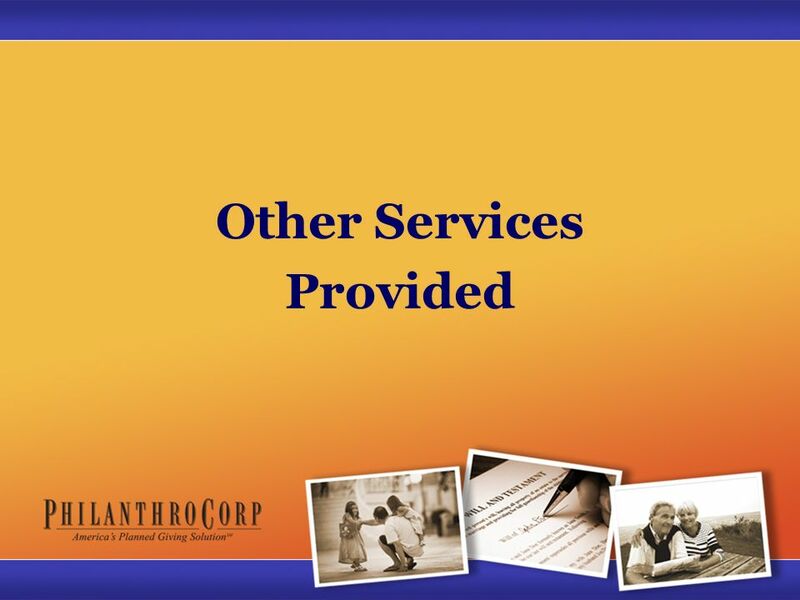 Establishing Planned Giving Programs in the Local Church Presented by Jason Frame. 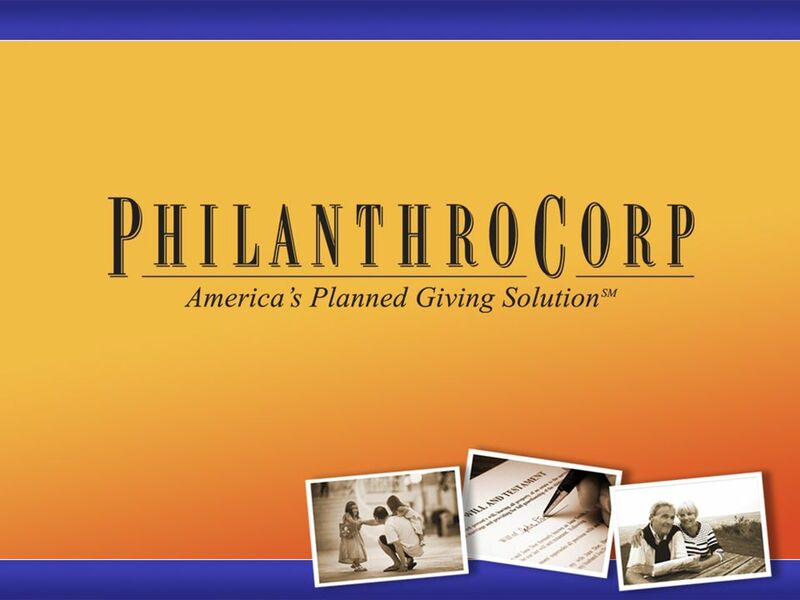 DISPOSITIVE PROVISIONS OF WITH NO PLANNING SETTLOR Living Trust ALL TO SPOUSE NO ESTATE TAX $6,000,000 TO HEIRS Unlimited Marital Deduction TAX AT SPOUSES. 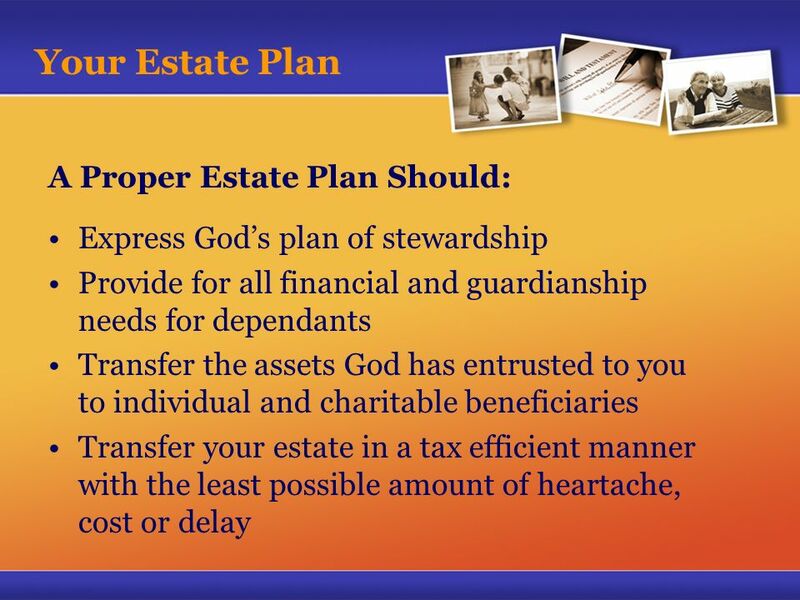 Lutheran Foundation Canada presents Planned Giving as part of A Christian Estate Plan. Legacy Ministry Bethlehem First United Methodist Church. The Role of Life Assurance and Trusts with Inheritance Tax Planning ASSET PROTECTION SYMPOSIUM : THE IMPACT OF LAWS ON INHERITANCE Nexus Insurance Brokers. CPLOM – Endowment Opportunities Sharing and mentoring with CPLOM Delegates, Board of Directors, hired leadership and staff. 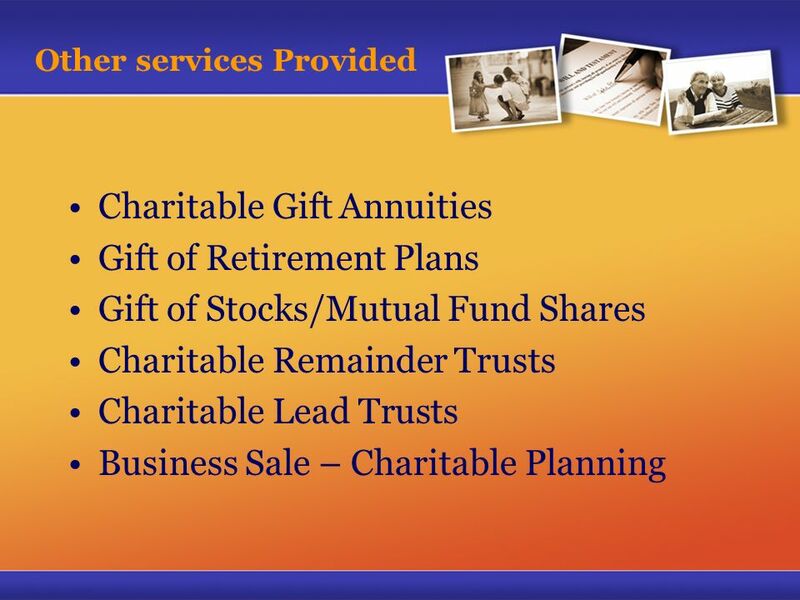 Financial Planning Financial Planning An Introduction to the Financial Planning Process Conducted by: Lawrence W Wiswall Jr. TCS Financial Services, Inc.
Estate Planning Parman R. Green University of Missouri Extension Ag Business Mgmt. Specialist 660 542-1792.